We are always looking for ways to enhance our tours and give visitors something extra. Last month we took a group of ex pilots on the Grand Tour of the Elan Valley lead by Mike Moltby who booked the tour looking for something to do in Mid Wales for a half day tour! As part of the tour Richard led the group to Dol-y-Mynach, otherwise known as the "unfinished dam". The original 1890's scheme for the sequence of dams and reservoirs in the Elan and Claerwen valleys included provision for three dams on the River Claerwen, which were intended to be constructed later when additional water supplies were needed for Birmingham. The Caban Coch dam was to create a reservoir with a top water level which would be above the level of the foundations of the dam at Dol-y-Mynach, the lowest of the planned three on the River Claerwen. It was therefore necessary to build the base of the Dol-y-Mynach dam at the same time as the other dams in the adjacent valley of the River Elan. Huge blocks of stone, weighing anything up to ten tons set in concrete which form the solid core of the huge structure, can be seen between the outer faces of dressed masonry. (source Elan Valley). 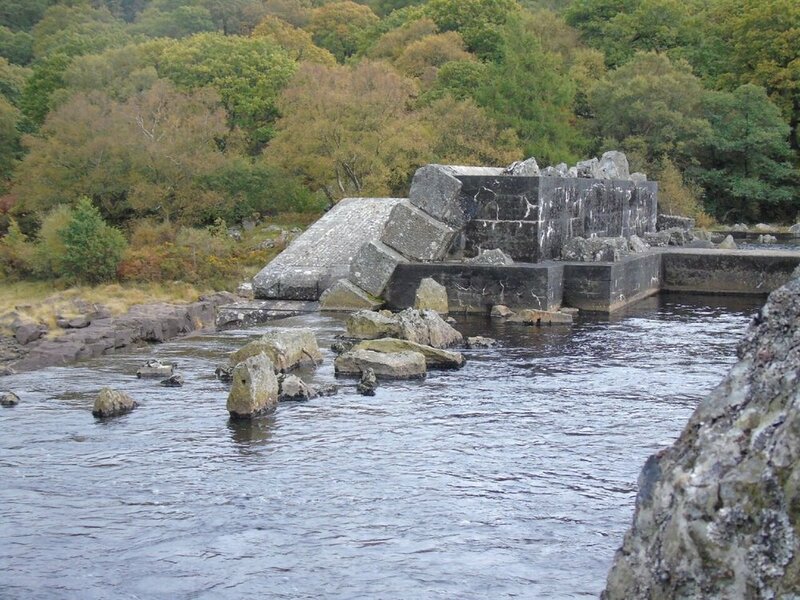 The unfinished dam is off the beaten track but is well worth visiting, if you are interested in learning more about the history of the Elan Valley and the unfinished dam to can request to stop here on the Grand Tour of the Elan Valley! Competition Winners take the plunge on Waterfalls tour!